Proven Winners is expanding its National Plant of the Year marketing efforts this year, with a featured plant for nearly every category it carries. At California Spring Trials 2018 (CAST), the Proven Winners team celebrated a landmark year, with the brand generating one billion consumer impressions for the first time ever. Proven Winners wants to build on that momentum with a number of ambitious programs set for the 2018 and 2019 seasons and beyond. This marks the first time Proven Winners has named a non-flowering annual as a plant of the year, but with good reason. After Petunia ‘Vista Bubblegum,’ Sedum ‘Lemon Coral’ is the second-largest seller at retail, and retailers are selling gallon-size pots for premium prices. That’s because it’s different, looks good on its own and in containers, and it’s feeding the succulent hysteria. Speaking of succulents, Google searches on succulents have risen dramatically over the past few years, and Proven Winners is jumping into the game to offer its network of growers and retailers a selection of succulents for easy combinations through its new Coral Creations program. Branded with a turtle caricature to provide an approachable feel to this collection, and one that appeals to kids and families, the plants come from Chris Hansen of Chick Charms fame, who will supply all of the young plants for growers and retailers, in trays including a variety of components. The trays come with plantograms for easy assembly, making it simpler for those with minimal knowledge of producing succulents. The collection will require branded packaging. 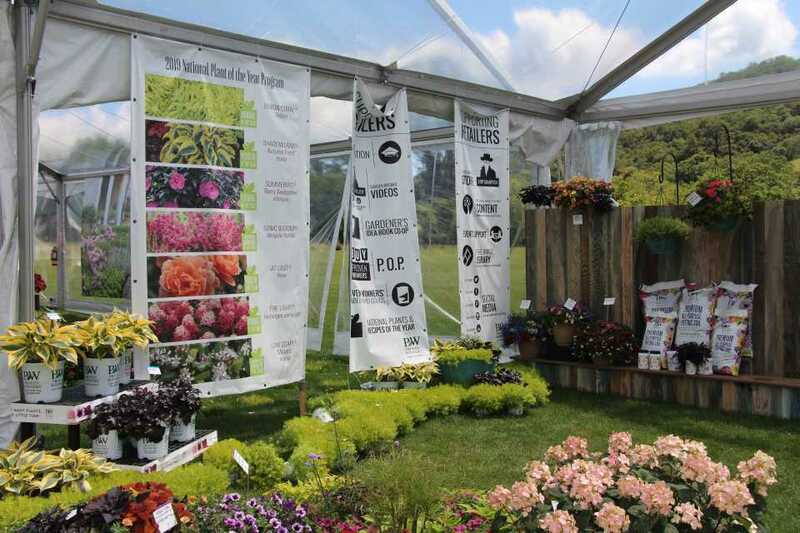 Proven Winners has also made its first foray into the edibles category with its new Proven Harvest line, which includes Berried Treasure strawberries (picked up from ABZ Seeds), Amazel Basil (bred for disease resistance), and the ‘Garden Gem’ and ‘Garden Treasure’ tomatoes. The tomatoes, bred by Dr. Harry Klee, were selected for flavor and disease resistance, and his research was featured in the January 2017 cover story of Science magazine. All of the Proven Harvest varieties will require the specialized branded packaging, as well. Proven Winners’ investment into working with the couple behind Garden Answer, Laura and Aaron LeBoutillier, has paid off over the past couple of years. Back then, the YouTube videos had a following of more than 2 million, but now they’ve generated more than 450 million impressions, making Laura LeBoutillier the second biggest garden influencer following Joanna Gaines of the HGTV show “Fixer Upper.” Proven Winners continues to build on this relationship with Garden Answer. The brand has also shown up on “Fixer Upper” with plants featured in landscape installments supplied by local Waco, TX, garden centers that are Proven Winners certified retailers. Proven Winners continues to build on its certified retailers program by providing training materials for this group, as well as a number of other offerings. Through a new partnership with Pandora this spring, Proven Winners is offering an affordable $350, 12-week advertising program where certified retailers names, locations, and logos, can be featured in 30-second ad spots recorded by Laura LeBoutillier of Garden Answer. The deadline to apply for the program is May 1, 2018. Proven Winners is also printing 400,000 of its Gardener’s Idea Books for the season, which retailers can send to their customers. Learn more about Proven Winners’ efforts in upcoming coverage, and take a look at the displays from CAST 2018 in the above slideshow.